This movie is not quite what I expected it to be - I thought that it would be about aviation. Boy was I wrong. What "Silver Linings Playbook" is to mental illness this movie is to addiction and alcoholism. 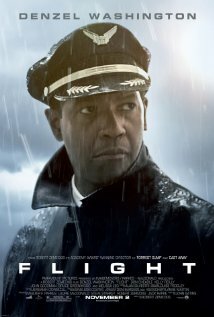 I thought that Denzel Washington did a great job playing Whip Whitfield, an airline pilot who is confronted with his alcoholism after he makes an amazing landing of a broken aircraft. I found the story to be compelling and representative of the various stages of addiction. Like Silver Linings Playbook the movie showed how a broken person can impact family and friends. Also thought that the film presented a compelling image of the way that the American legal system can be manipulated to protect the guilty - Don Cheadle did a credible job as a lawyer representing Whitfield and the pilots' union. I recommend it to you. I liked the movie a lot and, on a scale of ten, give it ★★★★★★★★. I'm glad to hear you liked it. I've heard so many people say they didn't like it. It's in our Netflix queue but I will put it higher on the page! Have a nice weekend. 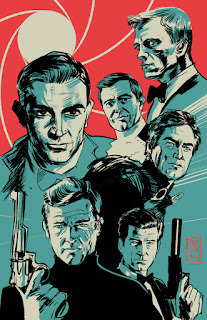 Dave and I don't watch many movies but your recomendations are enticing me to give a few of them a try.